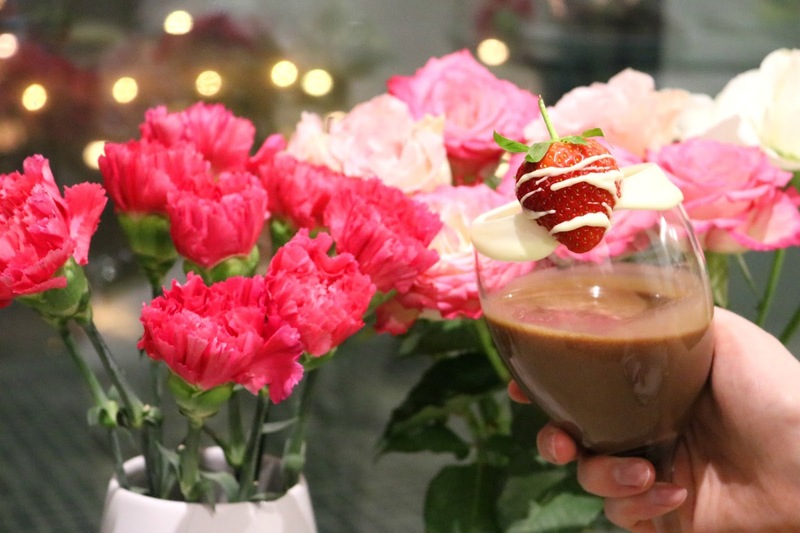 Valentine's day is just over a week away, so for me, that's the perfect excuse to get creative and do some baking whilst sipping deliciously pink cocktails! The TV is on, your favourite romantic comedy is playing and you're snuggled up on the sofa with your soft faux fur snowy white blanket. 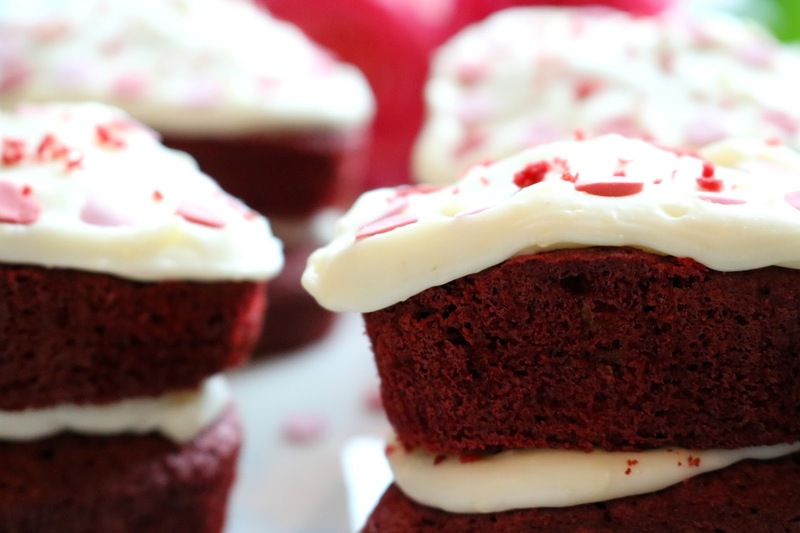 The smell of sweet red velvet cake swirls around the room as they quickly bake in the oven. Waiting intently for the cakes to rise, your partner helps you to create the most deliciously sweet and fruity girly pink cocktails, sampling the mixers and interesting flavours of alcohol as you continue to make more. Ping! That's the oven going off and now the cakes are ready. Time to get cosy again and carry on watching the rest of the film whilst getting tipsy drinking exquisite cocktails and eating the softest, most decadent and incredibly creamy red velvet cakes you have ever tasted. Surprisingly, I have never made red velvet cake, even though it is my favourite! As this cake is rather indulgent, it's the perfect Valentine's day treat. The gorgeous red colour is perfect for the occasion, with the added heart cake decorations which give it a nice, girly touch. With a hint of chocolate and a big hit of smooth and rich cream cheese frosting, this is a truly delicious recipe you need to try very soon. This recipe makes six mini sponge cakes in total so there will be a few leftover too! 1. Pre-heat the oven to 180C and lay out your heart shaped cases onto a large baking tray. 2. Measure out 100g of softened butter, 150g of caster sugar, 125g of self-raising flour, 25g of sifted cocoa powder, 2 tablespoons of milk, 2 tablespoons of red food colouring and crack two eggs into a bowl. Mix together until all of the ingredients have combined. 3. Evenly spoon the cake mix into each case and then bake in the oven for 25 minutes. 4. Once cooled, remove the cakes from their cases. If any of the cakes are uneven, carefully slice a layer off the top (making sure to put the slices to one side for later). 5. Now it's time to assemble, transform and decorate your cakes! To make the cream cheese frosting, simply mix 50g of butter, 200g of cream cheese, 300g of sifted icing sugar and half a teaspoon of vanilla extract until smooth and creamy in consistency. 6. Next, spread a generous amount of icing onto half of your cakes and then carefully place the remaining cakes on the top of each one. Using a teaspoon, spread the icing on the top of each cake. 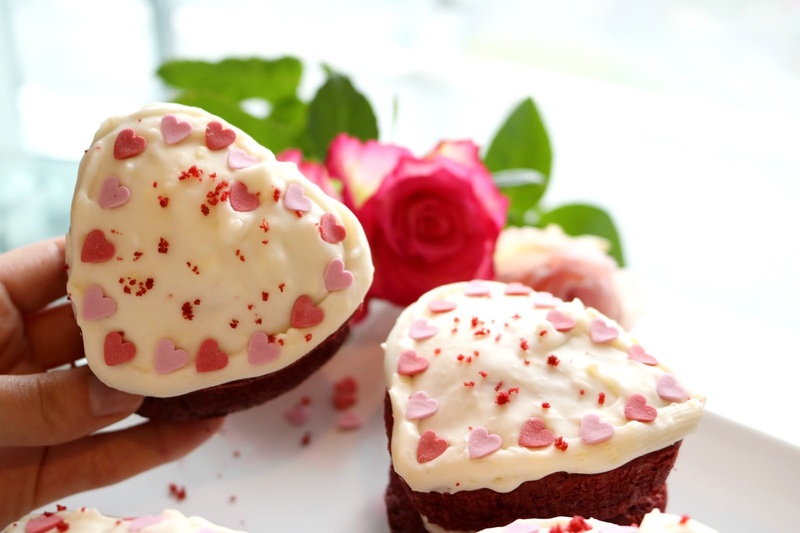 Lastly, sprinkle some of the extra red velvet cake and mini love hearts onto each cake to create the most amazing cakes, perfect for Valentine's day. 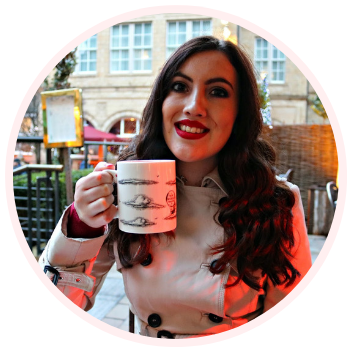 What's better than a chocolate fondue? A chocolate fondue with alcohol in it! This cocktail is certainly not for the faint-hearted. Smooth, rich, creamy chocolate, with a hint of marshmallow vodka; a chocoholics dream. To make this chocolaty delight, gently warm 20g of chocolate and two tablespoons of coconut milk on a low to medium heat. Once the chocolate has cooled, pour in 30ml of V Gallery Marshmallow Vodka and stir well. Drizzle some of the leftover chocolate on to your glass and then pour in your marshmallow fondue mix. Leave to chill in the fridge for around 30 minutes. Serve with marshmallows, fruit or a chocolate brownie! With an elegant style rich with complexity of a unique balance of sweet, citrus and fragrant, botanical notes from the Edgerton Pink Gin and a delicate fizz from rose lemonade, this cocktail lives up to it's name. 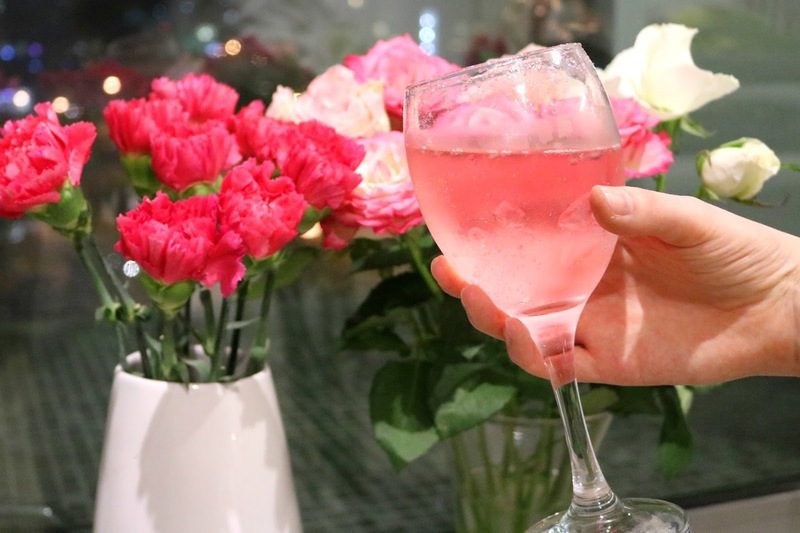 Sweet, light and floral, this is the perfect cocktail to enjoy over a cute valentine's dinner date. To make this sweet and delicious cocktail, pour 100ml of Fentimans Rose Lemonade, 30ml of Edgerton Pink Gin and a handful of ice cubes into a cocktail maker and shake until chilled. Add edible glitter around the rim of the glass for a sweet, fairytale finish. 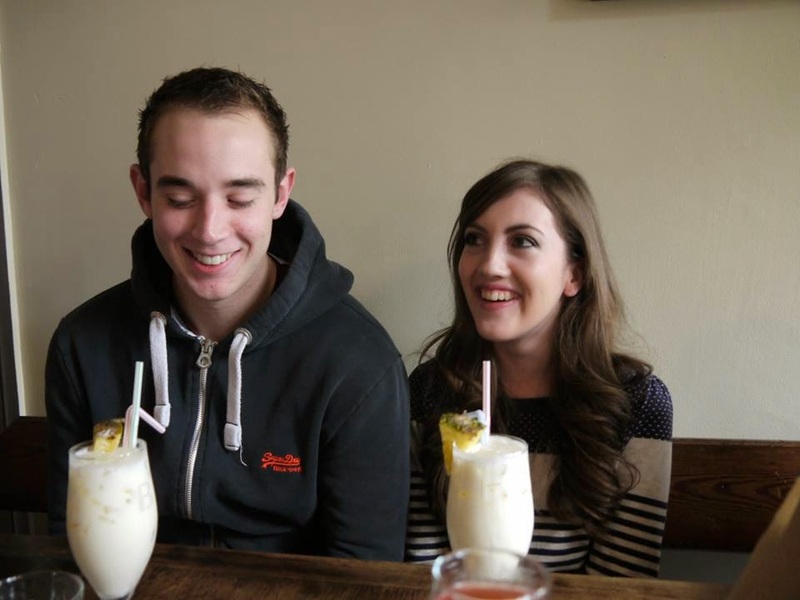 If fruity cocktails are your favourite, then you are in for a treat with this cocktail. Be My Valentine is lovingly made and bursting with fruits including mixed berries, tangy lemon, sweet strawberries and a hint of raspberry from the exceptionally smooth Pinkster gin. 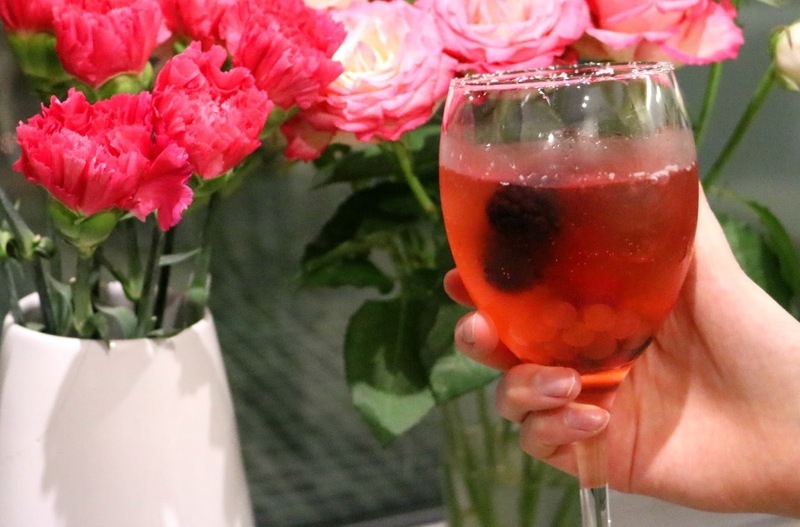 To make this fruity cocktail, pour 75ml of Fever-Tree Mediterranean Tonic Water into a cocktail maker, along with 25ml of Pinkster Gin, a few ice cubes, 25g of frozen berries, 1 tablespoon of honey and a splash of lemon juice and shake well. Serve with 1 tablespoon of Popaball Strawberry Bubbles for the ultimate cocktail bursting with fruity flavour. Each recipe makes one delicious cocktail, so adjust the measurements according to how many you would like to make. For more tasty cocktail ideas check out 31Dover!